Much about the event itself has been written in two articles (part 1 and part 2) on www.CzechCrunch.cz. Today, we are going to focus on the product, travel arrangements in the US and the sale of SynergyKit. To begin with, let’s have a look at what the product is and who it is aimed for. SynergyKit is a development platform which makes developers’ work easier. The idea first occurred to us in the first few months of running Letsgood, when we kept hearing the same requirements for programming server parts of mobile projects. At that time, it made perfect sense to create one superserver for our clients, a cloud service dealing with the most frequent use cases. What can SynergyKit do? Find the answer in our video. Magandáng umaga means ‘hello’ in Filipino. On our way to the USA we stopped by in the Philippines. Why? The answer’s simple. Asia is halfway through on the way to the USA and one of the fastest technologically developing regions, so we also tried our luck in this country. We took part in a number of conferences, e.g. 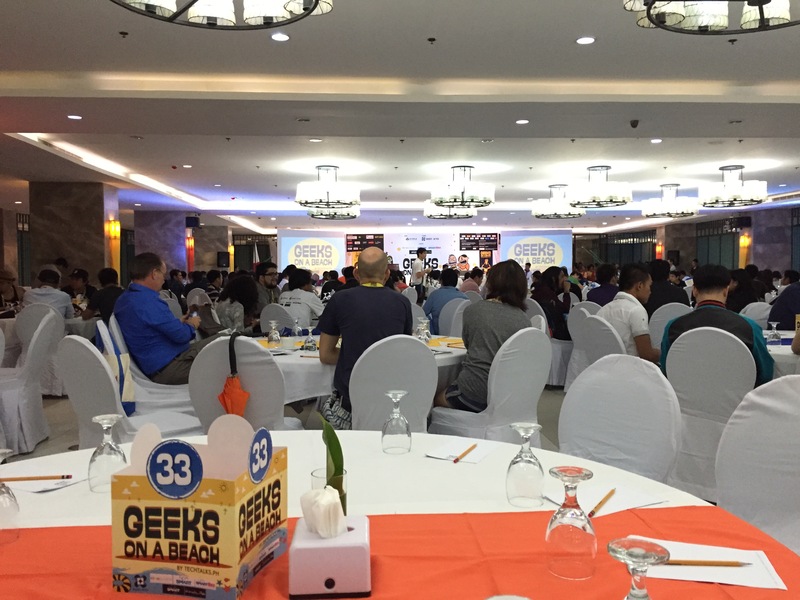 Geeks On A Beach. By the way, it’s a highly recommended event, where you can meet start-ups from 500 Startups, Singapore or Hong Kong investors and many other great people. Besides, we also met some Europeans who run well-established digital and mobile agencies in the Cebu and Manila regions. What is interesting is the fact that these businesses are often founded by Europeans – Swiss, French or Spanish. 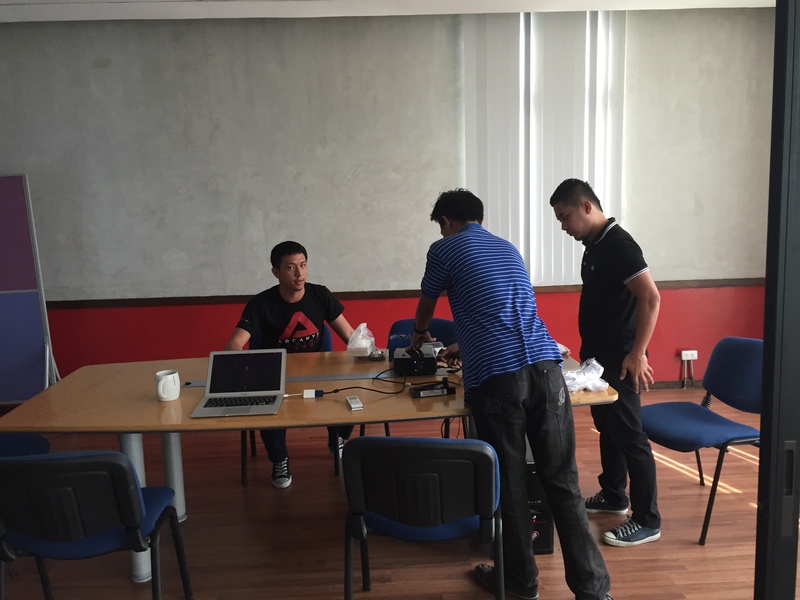 We met Baptiste Leroux from StarTechUp, who introduced the whole start-up environment in the Cebu region to us, and Frederic Joye from Arcanys Labs. We set off as a three-member team and spent a month just in the USA. 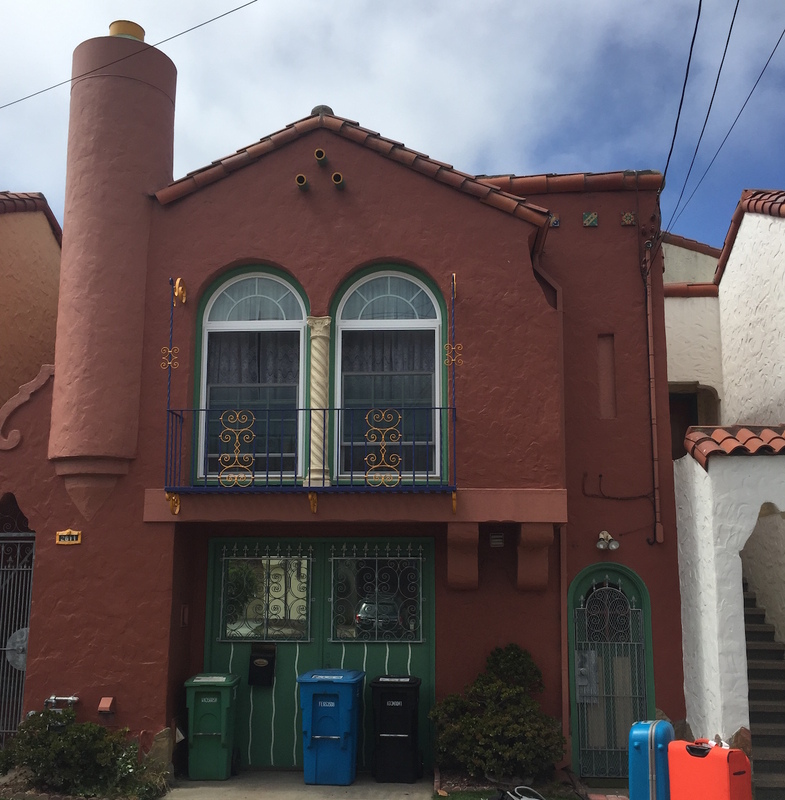 San Francisco is one of the most expensive areas for rent in America, so our team rented a part of a detached house. The owner was of Ukrainian descent, so he understood our lifestyle pretty well. On Airbnb, we paid $3,500 for 31 days in an apartment for 3 people, which really was the cheapest rent we could get in the San Francisco area. The objective of the journey was to present our product to investors in Silicon Valley, get new contacts and take part in TechCrunch Disrupt. 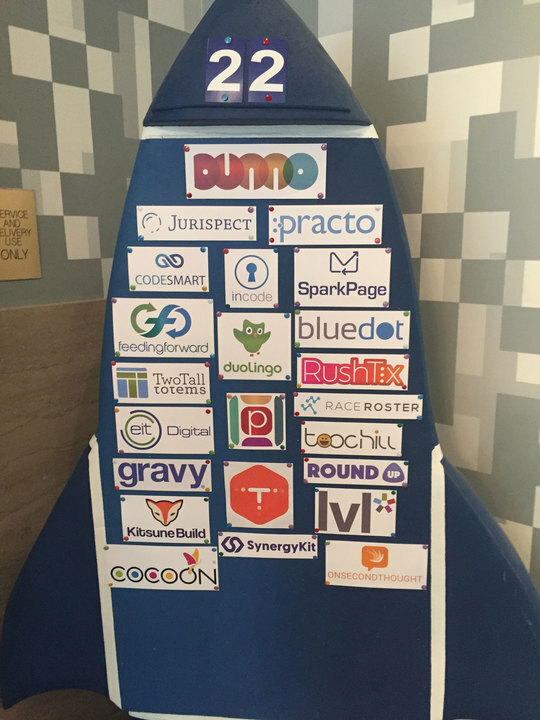 Letsgood – SynergyKit Basecamp in RocketSpace, Inc. The budget was tight right from the beginning. In addition to accommodation costs, we had to pay for the flight tickets and TechCrunch Disrupt costs, which thanks to our generous sponsors CzechTrade and CzechICT Alliance amounted to only 50% of the actual costs of $2,912 incl. merchandising and RocketSpace membership costs of $1,886. Not to mention travel costs and car rentals because you can get all around San Francisco by subway but whenever you need to travel outside the city (to Santa Clara, Mountain View, Palo Alto, Berkeley, San Jose), a car is a must. How did it all end up? As the headline above tells, we clearly didn’t manage to get any investment, so after we’d returned from the US, we had to decide what to do with the project. At that time, the team, which had been working on SynergyKit for 2 years, broke up so we couldn’t develop the project any further and decided to sell the product, which we eventually did. Note: SynergyKit is now owned by Neevio Ltd.
What did it bring to us? Contacts, experience, loads of inspiration and understanding how start-ups in the US work. To those who have doubts and ask whether it was all worth it, we say yes, it was awesome. If you have a product and want to break through, do follow your dreams. You’ll never leave empty-handed. And last but not least, the experience that even if you have a product and get investment, you can’t consider it a success until your product is sufficiently validated on the market. We set about developing a product which, at that time, had a substitute in parse.com (which no longer exists) and many others. 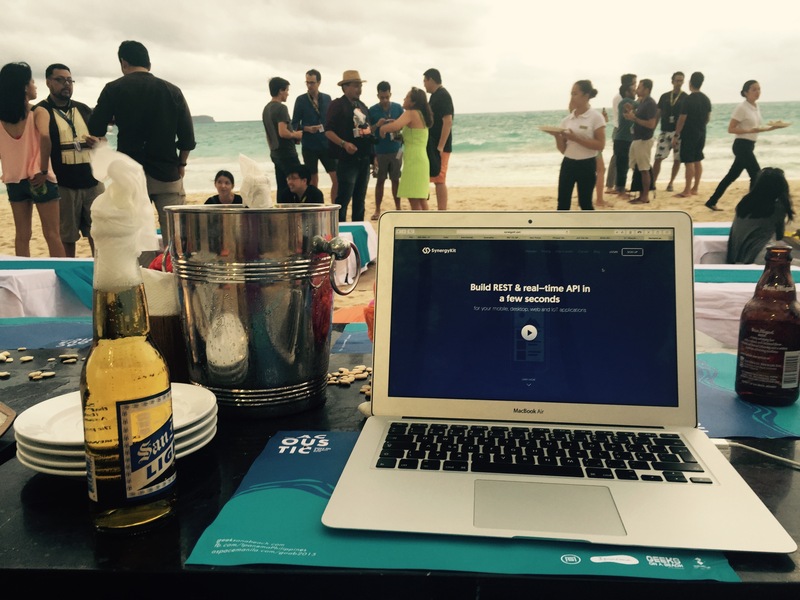 We saw a dozen of similar projects just at TechCrunch Disrupt conference. The Backend as a Service market, which is the right market category of SynergyKit, had been exited multiple times by the likes of Google, Facebook or Microsoft by that time. By the way, that signals you are launching your product too late. The product philosophy made sense on the quickly developing market of mobile app development. The catch was that the first BaaS had the Freemium model, yet not even after a couple of years companies found a way to increase conversion to such a level that would provide interesting profitability. That is why even parse.com, the market leader then owned by Facebook, exited the market. We decided to leave Etnetera Group, our first investor, and we returned once more to mobile and web app development. At the moment, we are working hard on MeetingRoomApp.com, our new product which is about to bring some exciting changes to our clients.